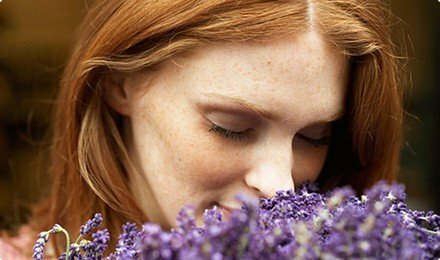 What if I told you that losing your weight is LITERALLY only a few sniffs away? I know what you’re thinking – that’s plain crazy. Nope. And prepare to be amazed. Make way for this mighty essential oil, jam-packed with ton of incredible benefits – starting from your hair, skin to your health – which goes by the name, yes you guessed it right, grapefruit oil. Crazy famous for its ability to clean toxins from almost any part of the body, this essential oil also detoxes the lymphatic system, eliminates excess fluids, burn fat and protect against cancer! And did you know, that it’s incredibly fresh and citrusy aroma immensely helps in mentally uplifting the body and mind and eases stress and anxiety? And to top it all off, it also suppresses sugar cravings and binge eating, and is renowned for its aid in quick weight loss. Could you dare ask for more? Yes you can! And it keeps getting better. Lets quickly take a look at some of the major benefits of this awesome essential oil. If you inhale grapefruit oil from the bottle whenever you’re craving sugar, you can effectively (and near permanently) bid buh-bye to your beloved scones. Consider taking it as a dietary supplement 1-3 times a day by adding it to your water if you want to stick the sugar-free resolution. You can decrease binge eating and cravings by diffusing the oil as needed, inhaling directly from the bottle, or using as a perfume. Now that’s some major benefit. It has been proven that exposure to grapefruit essential oil decrease the appetite and help you lose weight. Use it aromatically throughout the day, especially during times of stress, and add several drops to each glass of water (this not only acts as a supplement, it flavors your water making you more likely to drink enough during the day). The oil aids in weight loss because of being an antidepressant, antiseptic, disinfectant, diurectic, stimulant and a tonic. These properties have a huge appeal to anyone working to lose weight. This oil has been reported to increased your energy levels with its uplifting scent, giving you more energy and stamina and helping you increase your activity levels. It cleanses the system from the inside-out, perfect for anyone with a sluggish digestive system or a slow metabolism. And it increases your overall system, helping to return your body to its optimal health. Especially good for migraines that come about from stress, try applying this oil topically or using in any aromatic way that isn’t overpowering to the senses. Diffuse this one during times of stress, add a drop to a cotton ball and leave in the car vent, and massage into the chest. It also gives the feeling of a spiritual realm, and cleanses the aura and mental body. Grapefruit essential oil, a lesser known but very potent and therapeutic oil. Diffuse this oil or inhale from the bottle directly. It has a surprising effect on a hangover. Also ad 1-2 drop to every glass of water and be sure to double or triple your water intake for the next 2-3 days. Use grapefruit while traveling to help elevate your energy levels. Add it to your water bottles or inhale from the bottle. Grapefruit aroma is said to help curve drug and food cravings and uplift the system. Try apply 1-2 drop topically over the stomach or back of the neck, or inhale from the bottle for an aromatic effect. I know this is late, but the placebo efceft doesn’t necessarily have to take place in a medical setting being told you’ll be taking an actual medicine, but instead are taking a sugar pill.It’s true, that lemons, cayenne pepper and maple syrup do not equate placebo pill. Regardless, Natasha believes these substances will help her cleanse and detox. The mechanism for the placebo efceft is the belief that something will do good (and or bad ,)and therefore works.So maybe I mis-communicated that I was talking about the placebo efceft and not an actual placebo sugar pill. The placebo efceft has been well documented with different methods if implementation, not just a simple inert pill.With all that said, the placebo efceft has been known to work many times and that isn’t fully understood. Yet the Master CLeanse has been known to be a sham and can have negative efcefts. I’m a bit disapointed in Natasha for the reasons you just said, she does know her body well, she excercises regularly and seems to eat well. All that is more than sufficient in leading healthy lifestyle and doing something like this, really does her no good and could potentially take her a step back. Your kidney’s and liver are exceptionally good at their job and getting rid of toxins on their own. Eating lemons, cayenne pepper and maple syrup only deprives these organs (and your body in general), from the nutrients necessary for them to function properly especially after doing it for extended periods of time. The placebo efceft can only go so far, your body eventually needs the proper nutrition.It’s best just to eat well and if you have a fear for these so called toxins it’s best just to avoid them in your diet all together.